Material - Cotton Chanderi. This product is made on order. It takes a maximum of 10 business days to ship. 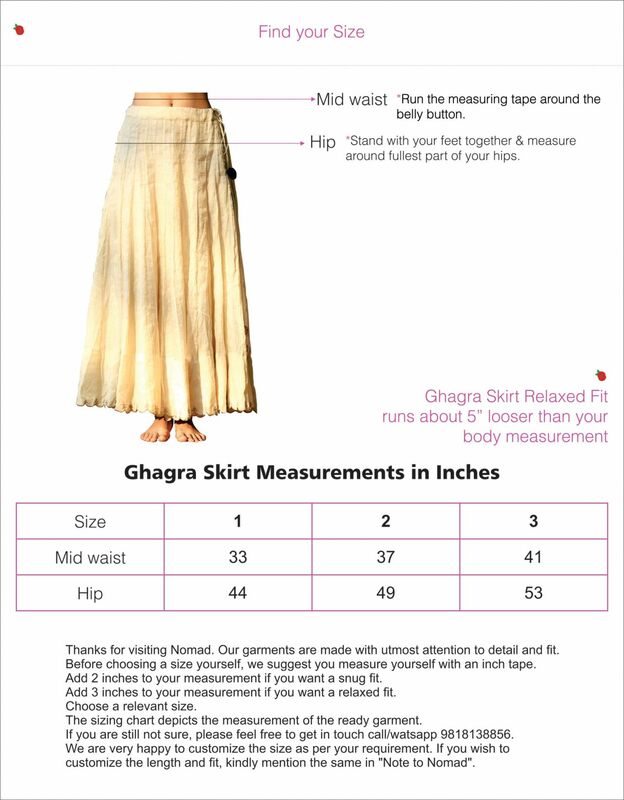 "Ethereal" is the vibe of this voluminous & light weight white chanderi cotton skirt. This is what the summer fairy comes floating on, singing a soulful melody! Seen a dream in childhood to be a fairy.fulfilled now by wearing this skirt.Happy with the launch of website as the distance is just a click away now.